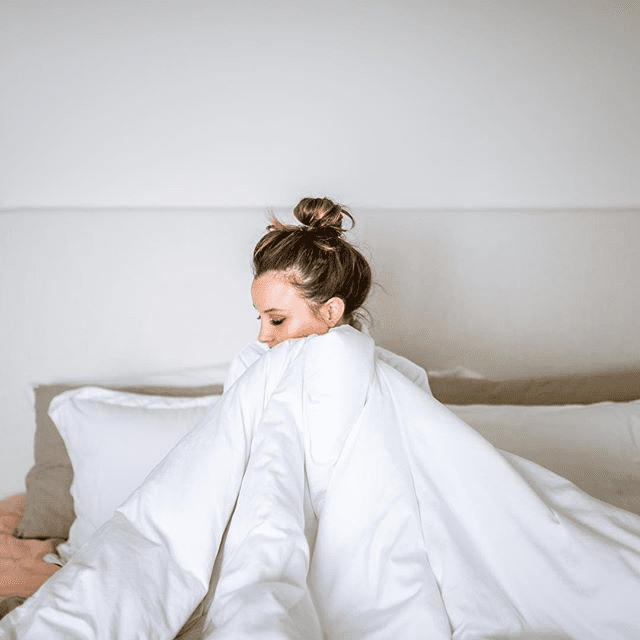 Adequate sleep is one of the foundational building blocks of good health; failing to clock your required six to eight hours a night can slowly wreak havoc on your mental and physical state. While we've admittedly turned to melatonin, CBD oil, and other natural aids in an effort to get a solid night's sleep, Michael J. Breus, Ph.D., would argue that exercising is more effective. "As a board-certified sleep specialist, I could share a copious amount of advice to enhance your sleep; however, if you choose only one thing to improve, make it getting 30 minutes of aerobic exercise," he writes over on MindBodyGreen. "In fact, exercise has been shown to improve sleep quality, increase sleep duration, reduce stress and anxiety, and help insomnia and other sleep disorders." He goes on to explain how physical exercise actually increases your time spent in deep sleep, which "helps boost immune function, supports cardiac health, and controls stress and anxiety." In other words, exercising simply makes you feel more tired and ready to go to bed at the end of a long day. Breus also notes that working out helps your body get into a daily pattern. He cites information from the National Institute of Health and the American Heart Association, which both recommend getting 150 minutes of exercise a week, or 30 minutes a day. "Having a disciplined exercise routine is the best way to maintain consistently positive sleep experiences because it helps your body establish a rhythm," he explains. "Mind-body exercises such as yoga can also help lower cortisol levels and reduce blood pressure, which contributes to lower stress and better sleep." Head over to MindBodyGreen for more from Breus, and read up on the best products for better sleep next.